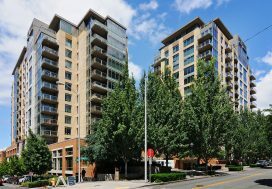 These Sellers had purchased a second home in the heart of our city to more easily enjoy the amenities of downtown living. But when they found out they were pregnant with twins it was time to sell their in-city pied-a-terre and focus on their growing family. So they reached out to us to get the ball rolling. 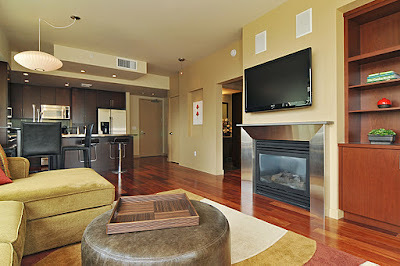 Being urban experts and living in the building their condo was in, we were the perfect team for the job. 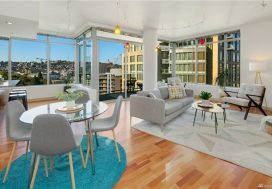 Not only do we know about all of the fabulous restaurants, cafes, shops and activities going on in the fast growing South Lake Union neighborhood but we know all about the fabulous building amenities in 2200 Westlake Condominiums. Who better to sell the urban lifestyle than those who live it every day?! 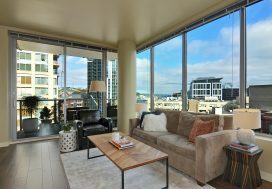 We met with the Sellers to determine fair market value, decide how to promote the condo, and how to have it show its best. Having seen all the comps, we came up with the price. Then we set out to educate buyers on the lifestyle. We created collateral that could guide any agent, whether they were familiar with this condo project or not, to each amenity in the building to make sure nothing was missed. We provided information on the neighborhood and its growth and potential and spiffed up the place, then unleashed this home on the market. It sold quickly to an Amazon employee, who can now walk to work! Johnny and Sarah~ Enjoy your time with Henry and Willow, they are adorable!